Me & My Big Ideas-Create 365 Happy Planner Extension Pack: Wedding. 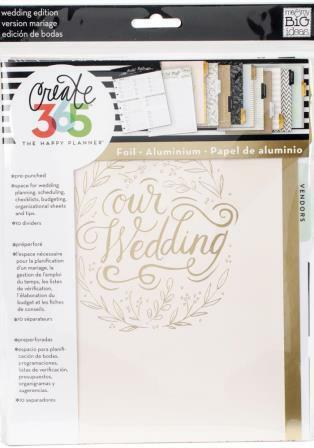 Perfect for keeping all your wedding plans organized! Use with the Happy Planner (sold separately). This 9-1/2x8 inch package contains forty-two pre-punched pages and ten pre-punched dividers.